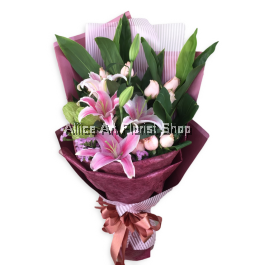 Need a gorgeous hand bouquet for an upcoming special occasion? 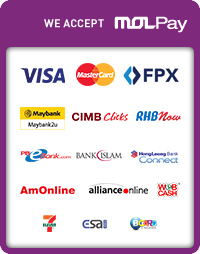 We’d love to help you out! 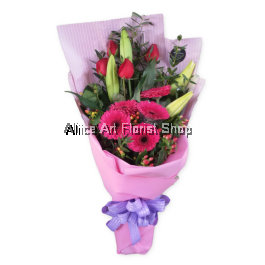 No matter what the special occasion is, you can order hand bouquet online in Malaysia with us, Aliice Art Florist Shop. 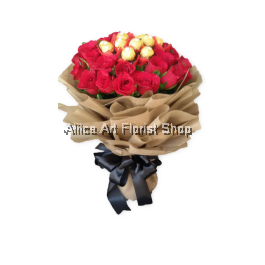 Whether it is for wedding, occasion surprise, anniversary or valentine gift, we always have the right bouquet for any occasion. 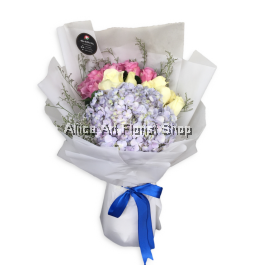 We have a wide variety of flowers for you to choose from such as roses, daisy and hydrangea, just to name a few. 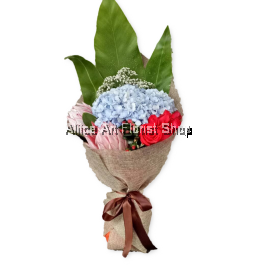 Our wide range of hand bouquet is sure to please any recipient. 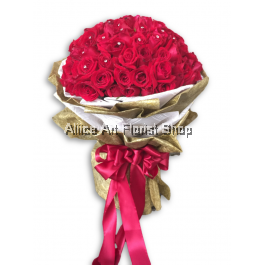 All of them are beautifully handcrafted and wrapped by for our expert florists. 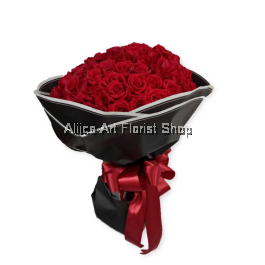 The sophisticated mix of leaves, ribbons, decorative accessories and the like are guaranteed to add a timeless elegance. Each has their own uniqueness and creativity. 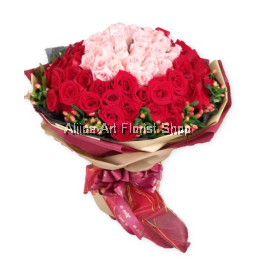 In addition to that, we offer prompt delivery for your convenience as well as same day delivery services, right to your recipient’s doorstep. 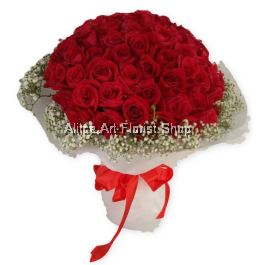 We ensure the bouquet we delivered is in its freshest state, surprising your family, friends or loved ones and putting a smile on their face. 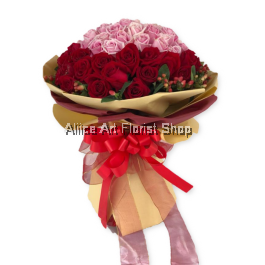 If you are looking for the best hand bouquet online in Malaysia, then look no further than Aliice Art Florist Shop. 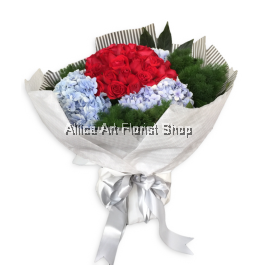 Delight your loved ones with our premium hand bouquet!